Clarity is the first step towards understanding. While Customer Relationship Management (CRM) systems have been around for quite a while, it is only now that they are getting the credit they deserve. A CRM system can help you tackle all kinds of problems related to interactions with existent and potential customers, employees, business partners, etc. It is the best tool in automating all processes related to marketing. A CRM is a powerful tool, designed to yield great results. Make no mistake, though. A CRM is just like any other piece of technology: it can deliver amazing results only if it is implemented and used the right way. A customer relationship management system can help you focus on what is really important: increasing sales, improving customer service and experience and increasing efficiency within the organization. But how exactly can you achieve these? How can a CRM help you reach your goals? Tracking is crucial. Flexie allows you to track all activities within the CRM, from lead nurturing to deals management to task management and everything else. One of the best ways of converting leads is knowing them better. What pages do they visit? From what devices? How long do they stay in your page? What are their interests? With Flexie, you can track the behavior of all leads, feed them personalized content and try to convert them into contacts. You might be wondering “what if I have hundred and thousands of leads? How do I manage them all? ” Well, you don’t have to. Flexie lets you organize leads into groups, search them by filters, send them automatic email and much more. Leads will be taken care of by your sales team, and you will have a crystal-clear picture of how leads are being managed. Custom reports and dashboards will help you gain insight into sales performance, closed deals and other key metrics. A great CRM lets you organize your day, know what lies ahead. Once you log in to Flexie, you will see Today’s Calendar. The calendar will give you a clear view of the scheduled events for a specific day, events such as tasks, notes, calls to be made, etc. The dashboard will give you a bigger picture of the events for the current day, week or month. Deal management is one of the most important aspects of a CRM. 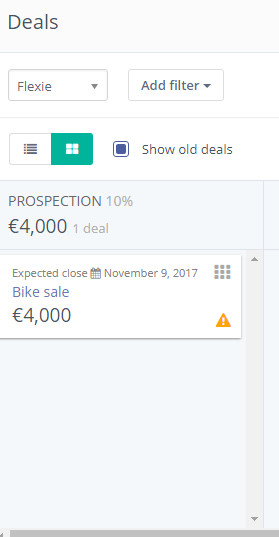 In Flexie, you can create new deals, search specific deals through complex filters, import/export them and much more. No two companies are the same. Each business has different and unique sales cycles. 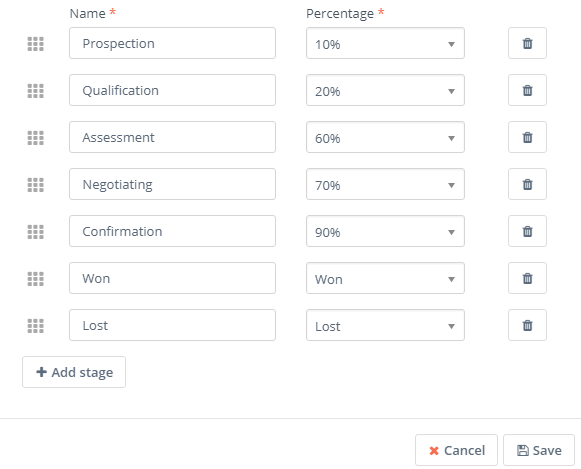 With Flexie, you can customize pipeline stages so that they fit your company’s needs. By applying a success percentage to each stage, you know where the deals stand and the steps you need to take in order to close it. You can share deals with other users, run workflows on them, add tasks and a lot more. 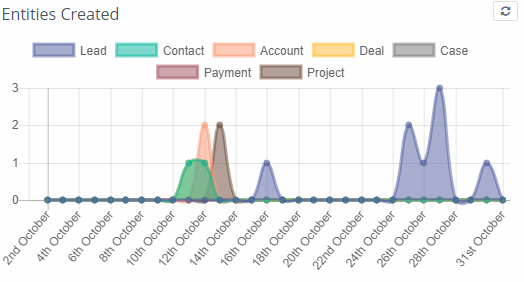 With Flexie, you can write custom reports about deals and view them in the dashboard(s). The more insight you have over your deals, the better decisions you can make. In your day-to-day activities, you may be flooded with information. Fortunately, a great customer relationship management system will give you exactly what you need. With Flexie’s Smart Lists, you can find specific information without ever leaving the CRM. By using complex filters with a lot of AND and OR conditions, you can find specific leads, deals, contacts, accounts and cases. Furthermore, smart lists are fully editable. Sending and receiving email is a crucial part in everyday business life. Switching between the CRM and your custom email provider is not efficient. Flexie has come up with an integrated email system, allowing you to have all email correspondence into one place. Flexie serves as an email client through the IMAP protocol. Send and receive personal emails in your Mailbox, manage them- all without ever leaving the CRM. Automating repetitive tasks is everything. 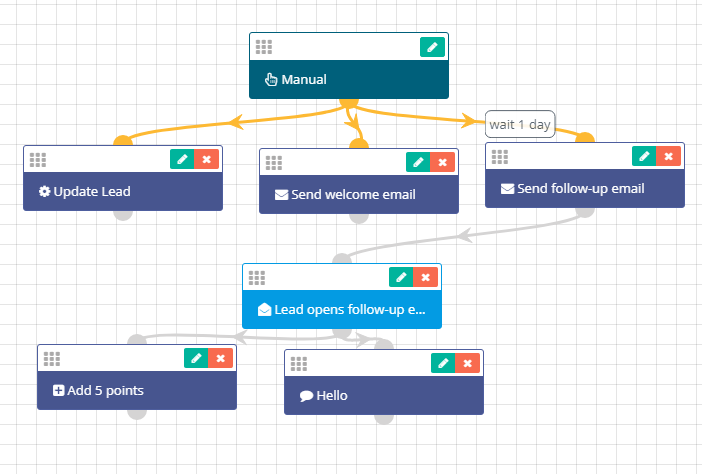 In Flexie, you can set up workflows that help you send automatic emails, send email/sms/web notifications, adjust lead points, add task, notes and a lot more. With Flexie, you can also create forms, add tasks, files and more.